Neil Wilkinson was the author of “Next-Generation Networks: Technologies & Services” – for John Wiley and is the owner of Aeonvista Ltd (http://www.aeonvista.com/) . Aeonvista is an ICT Consultancy created by Neill in 2007 who look to maximize the best in class technology thinking to inform their customers. So generating strategic solutions that meet the needs of both large and the small organizations. 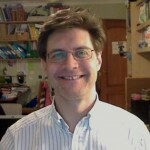 He writes the final guest post in the GENBAND series on WebRTC. Some years ago now I published a paper titled “SIP Based Call Centres – A vendor independent architecture for multimedia contact centres”. Thanks to the wonders of the Internet this can still be found at Recursovoip. The paper was based on a number of ideas I put forward in the John Wiley book in 2002, “Next Generation Networks – technologies and Strategies”. Subsequently in 2008, I expanded my ideas to encompass presence in the contact centre in the paper “The Ghost inside the machine”. The paper discusses the use of automation using voice recognition and intelligent routing to provide front line integrated customer care in the form of a HelpBuddy – essentially a clickable “friend” in the contact list of an Instant Messenger client, like Skype or Google+ chat applications. The H☺lpBuddy™ represented the summary availability of agents in a multimedia contact centre, and even takes into account queue times and automated FAQ and IVR options. To a degree, whilst the idea had solid foundations in SIP Presence and in 2008 the fledgling XMPP based presence protocols, realising this idea and extending it to the now familiar (or irritating depending on your mode) pop-up you find on website “Hi my name is Bob, may I help you today?” was difficult and required lots of custom code. Roll forwards to 2015, and we now have much more of these kind of pop-ups and even products like Amazon’s Mayday have started to proliferate the web. WebRTC is now the most exciting capability for delivering real-time voice and video communications without the need for complex bespoke code, or dedicated applications. The promise of the “no plugin” enable multimedia communications H☺lpBuddy™ is finally realisable. Let me re-think/re-word that last paragraph, especially the “need for complex bespoke code” part. Well it’s still somewhat complicated to deal with multi-platform multi-browser, and even different versions of the same browser family, as each has its own “versions” of APIs and ways of dealing with WebRTC based communications. Whilst standardisation is happening in the W3C, support across browsers is… hmm – well different – http://iswebrtcreadyyet.com/. The recent release of Windows 10 and its shiny new browser “Edge” has not exactly helped this picture.